The chief justice said the court and government cannot be oblivious to the plight of Rohingya women and children, added that petitioners can approach the court in case of 'contingency'. 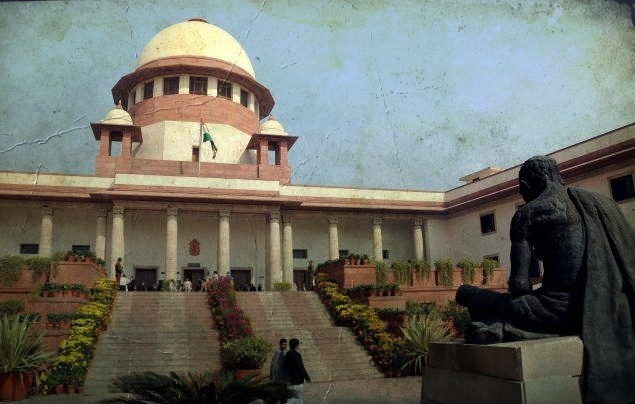 New Delhi: The Supreme Court on Friday asked the Centre not to treat the Rohingya Muslims issue as a national security issue but consider it as a humanitarian and human rights issue. Though the court stopped short of staying the government’s plans to deport Rohingya refugees in its written order, oral observations made by the bench and the leave it granted lawyers representing refugee rights to approach the court in the event of “any contingency” means it is unlikely to allow any actual deportations until it finally disposes of the matter. Initially, senior lawyers Fali Nariman, Prashant Bhushan, Colin Gonsalves, Kapil Sibal and Salman Khurshid urged the court to restrain the government from deporting Rohingya Muslims. Chief Justice of India (CJI) Dipak Misra also observed that till the matter is being heard by the court, there should not be any deportation of the refugees. However, additional solicitor general Tushar Mehta strenuously objected to any such order by the court, saying that it would embarrass the government in the international fora and would have wide ramifications. The court, therefore, ultimately passed an order saying that in case there is any contingency, the petitioners would be at liberty to approach the court. The CJI asked the Centre to be sensitive to the plight of Rohingya Muslims from Myanmar who has come here as refugees and to have a multi-pronged approach to tackle the humanitarian issue. “The Centre must strike a balance between human rights and national security interests”, it said. The bench reordered the submission of Nariman and said liberty to mention was also there. The CJI asked the government to strike a balance between human rights and national security when it comes to dealing with refugees in the country. Saying that the court can’t be oblivious to the plight of innocent kids and women, the CJI called for a balancing act. Referring to the Centre’s stand that the matter was not justiciable as it was a policy matter, the CJI told the ASG that “our constitutional ethos make us lean sympathetically towards humanitarian issue”. Earlier, Nariman rejected the Centre’s stand that the issue is non-justiciable. Nariman pointed out that this position of the government is absurd in light of the fact that Article 14 and 21 rights under the constitution are available to all “persons” as well as the Article 32 right to move the court. He took exception to the government trying to paint all Rohingyas as terrorists and said this argument was absurd as there are women, children, sick and infirm who are not terrorists. Nariman said if the government had any specific information about any Rohingya persons being terrorists, those people could be excluded, but he opposed a mass deportation. Nariman also read out from the New York Declaration for Refugees and Migrants dated October 3, 2016, which India is a signatory to, wherein the rights of refugees to be given asylum had to be recognised and the principle of non-refoulement reaffirmed. He also pointed out that though India is not a signatory to the UN Refugee Convention, 1951, it is a signatory to several other international conventions which accept the principle of non-refoulement and prohibit involuntary deportation of refugees. Some of these conventions are the Universal Declaration of Human Rights, International Convention on Civil and Political Rights, International Convention on Protection of All Persons against Enforced Disappearances, Convention against Torture and Other Cruel, Inhuman or Degrading Treatment or Punishment and Convention on Rights of the Child. He pointed out that the Protection of Human Rights Act defines human rights to include not merely fundamental rights or rights under the Indian law, but also human rights arising out of international conventions to which India is a party. Nariman observed that the government can’t speak in two voices – one in the UN and international fora and another totally opposite in India and before this court. 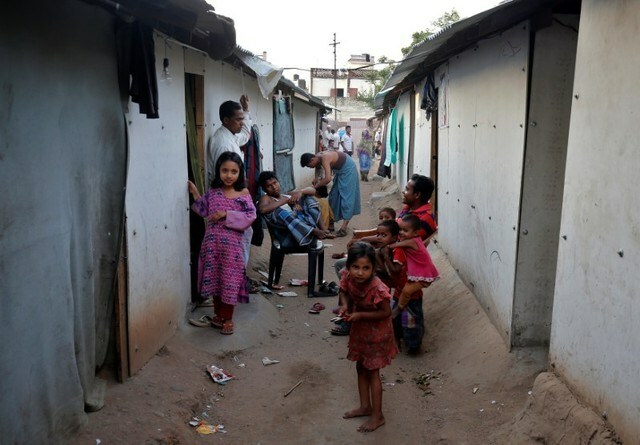 India’s stated policy position in international fora and as mentioned throughout in policy statements and notifications has been to recognise the distinction between refugees who are forced out for their countries due to persecution and illegal migrants who come in search of economic prospects. Opposing a batch of petitions, the Centre had defended its policy decision to deport 40,000 Rohingya Muslims to Myanmar and asked the Supreme Court not to interfere with it. The Centre had said deportation would be essentially a core executive function in the realm of policy with respect to dealing with illegal immigrants and is not justiciable. It was argued that illegal immigrants would not get and cannot claim any of the fundamental rights which are otherwise available to non-citizens as the term ‘non-citizens’ would necessarily mean persons, not citizens of India, is in India on a valid travel document. Asking the court not to interfere, the Centre said the court should not go into and re-evaluate – or based upon such re-evaluation substitute – its satisfaction in place of the satisfaction reached by the executive as a part of administrative governance. The bench posted the matter for a detailed hearing on November 21.